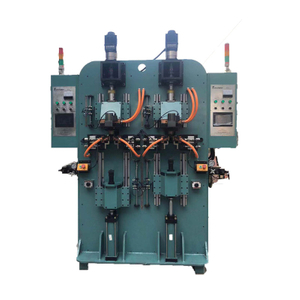 Double Statation electrical upsetting machine is used for forging the round bar. Servo control. more accuracy and easy to operate. 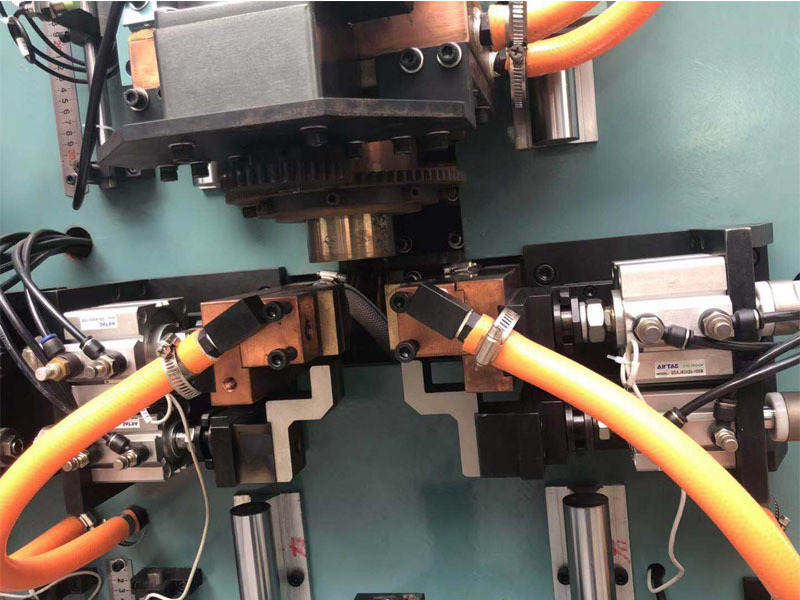 Electrical Upsetting Machine is used for forging round bar. The machine consist of servo control system, hydraulic system, anvil system, clamping system, forging system and so on. the production range of range is rod bar diameter from 5 mm to 8 mm, Max. length of bar is 300 mm. Servo system control the anvil stroke. more accuracy, stable and easy to operate. it consists of servo system, deceleration system, guide block mechanism, anvil electrode, anvil seat and alloy conductive block. The servo system drive the guide block. In the process to make sure forging force balance. Anvil electrode adapt T2 electrolytic copper. Installed on guide block. Another side connection with transformer. Anvil seat and guide block connect with anvil electrode. 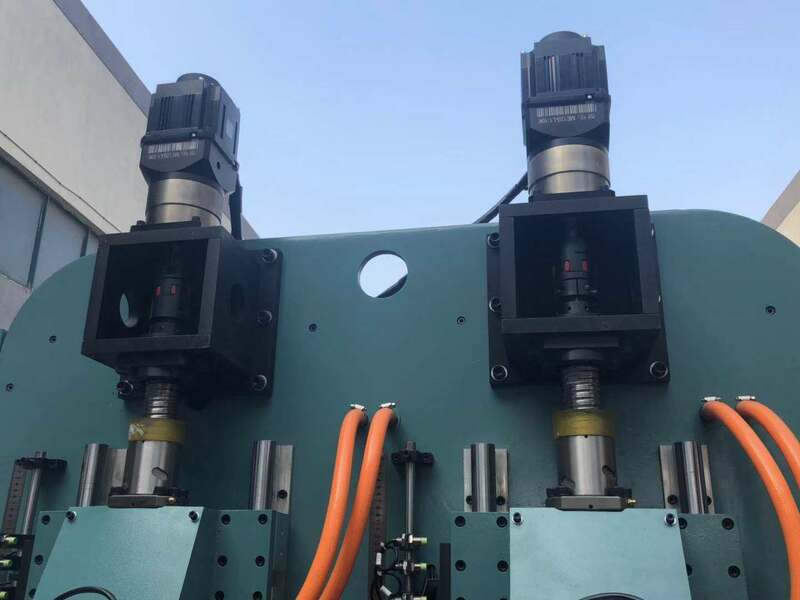 It consists of clamping cylinder, guide mechanism, clamping electrode and jaws conductive block. Add auxiliary support to prevent from bend. Adapt low pressure circuit. Supply the oil by the motor driven the vine pump. 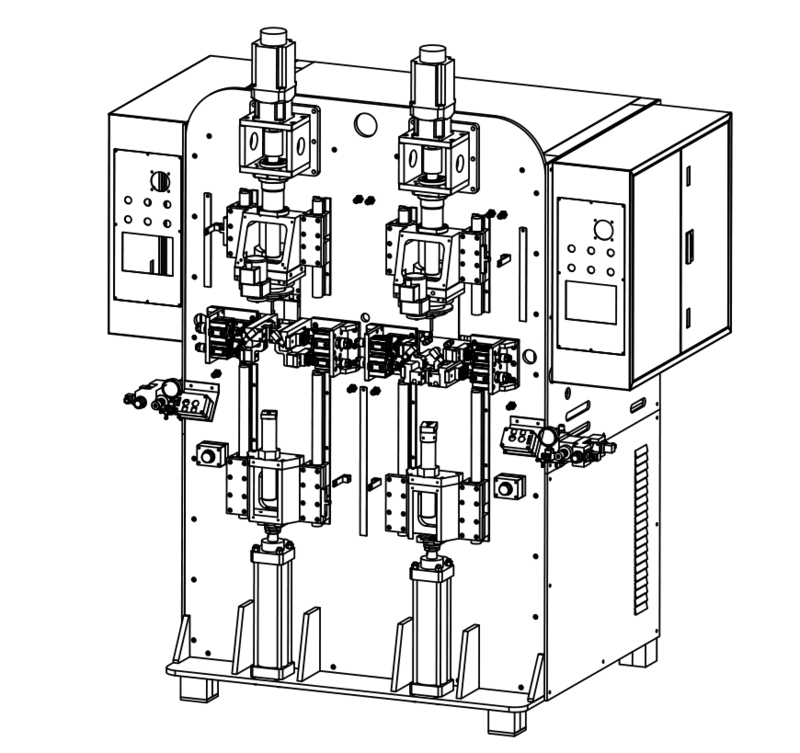 The hydraulic valve is mounted on the integrated circuit block. Adapt proportional regulator. 30 KVA single phase transformer. The heating current is controlled by dedicated Thyristor controller. Stepless regulator and constant current heating. 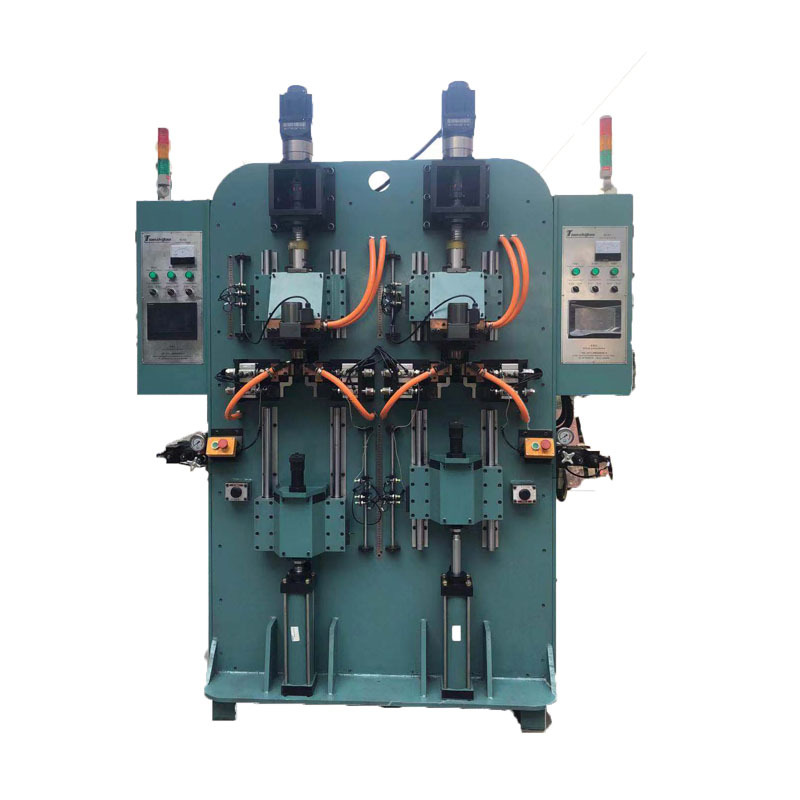 Electrical upsetting machine is special purpose machine for engine valve. it is used to process engine valves (inlet valves and exhasut valves) in cars, motorcycles, trucks, and other engine valves. Packaging: Using standard export wooden case.